From the airport, follow the signs leading to Corfu Town Centre (the water will be on your right-hand side). 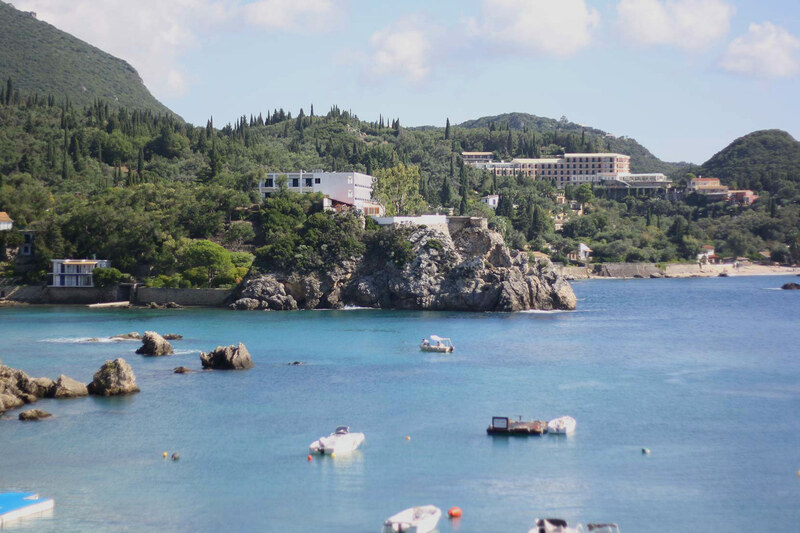 In 2-3 kilometers along the coastal road, you will arrive at Corfu Port. After the port, follow the signs leading to Paleokastritsa for ~25km (30 minutes). This is a direct road to Paleokastritsa, and you should not turn off of this road. The Paleokastritsa resort area has one 5km main street. Upon entering Paleokastritsa, drive past the Paleokastritsa Hotel and past the Akrotiri Hotel towards the main beach. Before the main beach, turn left at the police station (near the souvenir shops), and drive towards the Alipa Marina. Parking is available in an open area near Limani Taverna and the scooter rental agency. Alexander or someone else from the Akis Apartments team will be there to welcome you. If you need further directions at any time, please call Alexander at 0030 6977977942. We’re looking forward to greeting you!